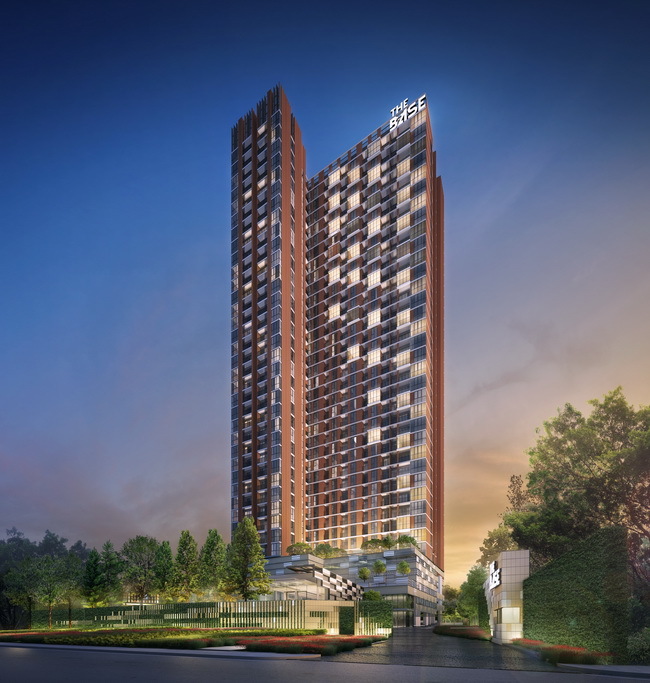 Sansiri underscored the strength of THE BASE condominium brand with the latest launch of “THE BASE Garden-Rama 9” – a 2,280-million-baht, 639-unit project which is the fifth project under the business partnership between Sansiri and BTS Group. The new project redefined the word “premium” with meticulously selected materials and attention to every detail. The marble is imported directly from Italy to install in the fitness centre and themulti-purpose room. Meanwhile, the design has been adjusted in such a way that the true needs of the customers are reflected particularly under the ““You are where you live”.” concept as well as the “Garden of Creation” approach that combines the green areas into a large garden that provides much more than just simply relaxation. Transportation is also a simple matter as the project is located only 700 metres from the Ramkhamhaeng Airport Rail Link station and 800 metres from the Sirat Expressway access. Official sales start on 3rd-4th September in Hong Kong, and 10th-11th September in China, Singapore and Thailand. The price of a unit starts at 2.19 million baht. 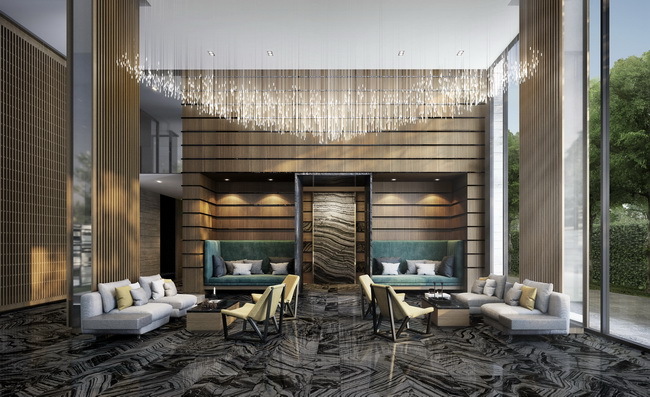 Sansiri Public Company Limited (SIRI), revealed that condominiums under THE BASE brand are projects that aim to respond to the lifestyle needs of the new generation who are modern and individualistic. The design of each project reflects the special character and lifestyle of the people living in that specific area, which has given rise to the concept “You are where you live”. It emphasises the marketing approach of developing a brand that is distinctive and truly reflect the needs of the customers. The first project was launched in 2011 in the Sukhumvit 77 area and was very well received. Therefore, the brand was developed further with projects in the outer zones and the provinces, and now THE BASE has grown solidly with 11 projects worth altogether 19,000 million baht spread all over the country. 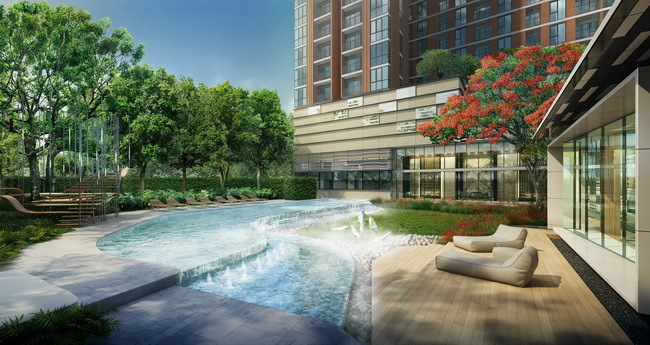 In the latest move the consolidate the success of THE BASE brand, the Company is launching “THE BASE Garden-Rama 9” project with 639 units worth 2,280 million baht. This is also the fifth projects in the Sansiri-BTS Group partnership under the concept ““You are where you live”. ” in which all materials have been carefully chosen to further elevate the level of “premium” to fully and truly answer the lifestyle needs of the customers. Transportation is especially convenient with the Ramkhamhaeng Airport Rail Link station located just 700 metres away and the Sirat Expressway access and Ramindra-Atnarong just a bit further away. Official sales start on 3rd-4th September in Hong Kong, and 10th-11th September in China, Singapore and Thailand. The price of a unit starts at 2.19 million baht. 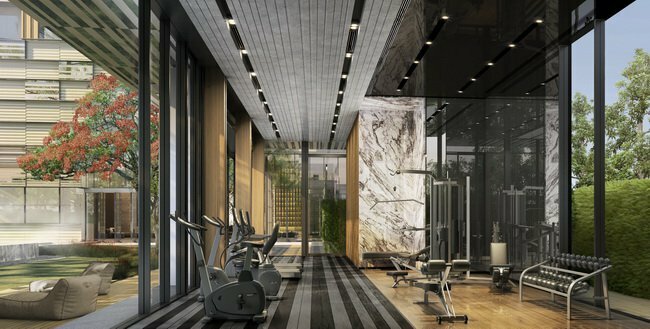 “THE BASE Garden-Rama 9 is different from other projects under THE BASE brand as we have paid more careful attention to details, such as the importation of marble to be used in the fitness centre as well as the multi-purpose room. The lobby is very prominent with the chandelier with a design that mimics rainfall giving the atmosphere of relaxed elegance. “The units have high ceiling thus increasing the airiness and the feeling of comfort. We provide insulated glass windows in the bedroom that sound-proof for peace and quiet as you relax. The kitchen is ultra-modern and the materials used are top-grade, such as the porcelain slabs that have better quality than granite stone in regards to durability, weight-support and less water-permeable. Thus, they are easy to clean and lend more beauty to the kitchen. “The project has been designed under the approach “Garden of Creation” – a new concept that combines together the green areas creating a large garden suitable for walks and relaxation in the clean air. The project is easily accessible to many areas of Bangkok through Rama 9, Ramkhamhaeng, Pattakarn and Ratchada roads, while the City’s lifestyle centre Thonglor-Ekamai is only five minutes away. “The project is also surrounded by several shopping centres and community malls, such as The Nine, The Mall Ramkhamhaeng, Foodland and BigC Supercenter. Also close by are Ramkhamhaeng University, ABAC, office buildings, restaurants and trendy hang-out places of the new generation. Therefore, it is perfect for both family homes or for rent with 6 percent return. It is expected that this project will be very well received,” Sansiri concluded. In regards to the details of the project, THE BASE Garden-Rama 9 is located on Rama 9 Road on around 3 rai of land. It was designed with abundant nature in mind for complete natural relaxation away from the chaotic city life. You can relax in a large swimming pool surrounded by a variety of plants as if you are in a private resort. The fitness centre is completely equipped with modern machines and looks out onto a large garden to be at one with nature. The multi-purpose room has been designed to be open to the outside to accept the natural breeze. Also available are the laundry room, 24-hour security and electric vehicle (EV) charging stations. The project is a 36-story building consisting of 640 units – 639 condominium units and one commercial unit. There are three types of unit – 26.50-27.00 sq.mt. 1-bedroom & 1-bathroom; 30.75-34.75 sq.mt. 1-bedroom & 1-bathroom, and 49.75-55.00 sq.mt. 2-bedroom 1-bathroom. For special promotion, all customers who make bookings on 10th-11th September, they will receive complete set electrical appliances or a home automation system – worth more than 40,000 baht!